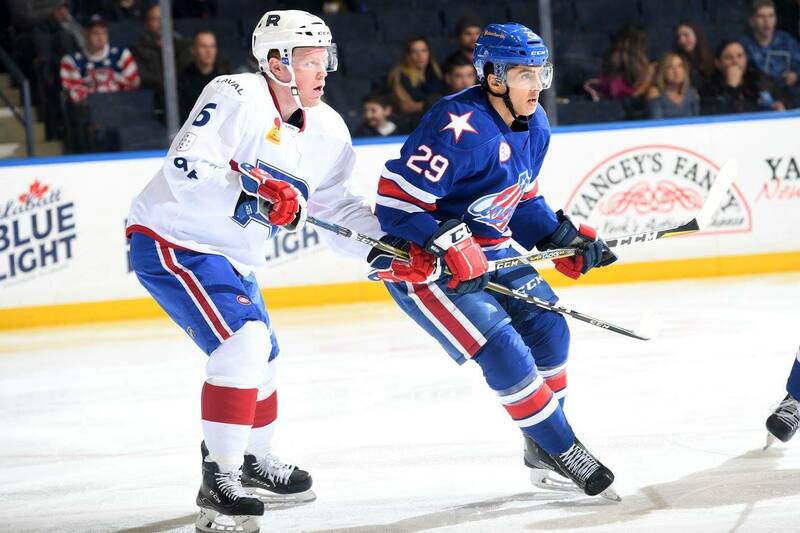 When the Rochester Americans signed Sahir Gill to an American Hockey League contract over the summer, they had specific needs in mind. They weren’t expecting Gill to be their go-to goal-scorer, they wanted him to fill a bottom-six forward role. They didn’t plan on having him log big-time power-play minutes, they envisioned him killing penalties. But it’s amazing what happens to a player when all he does is work, and work on getting better. A year ago, Gill finally spent an entire season on an AHL roster after bouncing between the ECHL and AHL in his first three pro seasons. And now, as the Amerks near the midway point of their 76-game regular-season schedule, the 25-year-old left winger is firmly entrenched in the Amerks lineup and playing a prime-time role. Taylor knew that coming into the season. As an assistant coach last season with the Wilkes-Barre/Scranton Penguins, he’s the guy who spent a good many post-practice hours working with Gill on skill development and the nuances of the game. “I worked with him a lot, I did video with him every day,” Taylor said. Still, even with the best scouting report on Gill of anyone in the organization, Taylor didn’t envision the 25-year-old Boston University product playing a prominent top-six role. What’s that they say about assuming? Gill leads the Amerks in goals (12) and is second behind rookie C.J. Smith in points (25). Four of his goals have come on the power play, which is more than he has ever scored in college or pro. When at even strength, he’s playing the left wing on a line with center Kevin Porter and right winger Seth Griffith. Taylor doesn’t see any reason that will change, either. Gill, of course, plans to continue proving his roles shouldn’t change. Well, actually he plans to just keep working. The last thing he wants to do is look at his offensive production and feel satisfied. “It’s not something I want to dwell on, that’s when the details of your game get away,” the Terrance, British Columbia native said. Instead, his focus is on helping the team win. The points in the standings are far more important. “You have 60 minutes to get two points,” he said.